Republica Havas is a leading creative, media, and communications agency that builds meaningful relationships between people and brands across cultures, traditions, and languages. As a strategy-driven agency, we dive deep into our clients' businesses to tackle challenges and unlock growth opportunities. We passionately share their brand stories through engaging, meaningful, and culturally-relevant communications solutions. Great advertising not only sells, but compels. By combining unique cultural insights with big creative, we build award-winning campaigns that drive sales. Like people, companies and products have their own DNA. We uncover what sets them apart by developing a unique branding system that can include naming, logo design and brand voice. Through advanced analytics and deep market data, our brand and media strategists uncover the kinds of insights that are brought to life through our rock-solid creative and channel strategies. The frontline of consumer contact. Our all-star team creates and produces immersive, memorable brand experiences — from one-on-one shopper marketing to large-scale special events. Stories are better told through the lens of unbridled artistry. Our leading-edge production team breathes life into campaigns through compelling video, film and photography. In today's up-to-the-second world, our award-winning team of PR and content experts go beyond the press release to deliver the kind of earned and social awareness that builds momentum and drives engagement. Republica Havas is led by a seasoned group of strategists, creative minds, marketing gurus and financial wizards. Together, they put their years of expertise to work for our growing roster of great clients. And love every minute of it. Republica Havas Co-founder, Chairman and CEO Jorge A. Plasencia has been selected to serve on the judging panel for the 2019 Clio Music Awards. Named one of the world’s most influential marketing and communications professionals in PRWeek’s Global Power Book, before co-founding our agency in 2006, Jorge was corporate vice president and operating manager of Univision Radio, the nation’s largest network of multicultural-focused radio stations. He played a key role in the integration and cross-platform opportunities of Univision’s television, radio, and digital properties. Earlier, he held the position of vice president of marketing, corporate communications, and public affairs. Prior to Univision, Jorge was vice president of Estefan Enterprises, Inc., where he was responsible for corporate business strategy, marketing, and communications, and played a vital role in the business affairs and management of several international artists, including Gloria Estefan and Shakira. Before Estefan Enterprises, Jorge was the first director of Hispanic marketing for the Florida Marlins. During his tenure, the Marlins won their first World Series championship and received the Hispanic Marketer of the Year Award from the Greater Miami Chamber of Commerce. Throughout his career, he has played a leading role in the production of numerous marquee events. These include “The Last Goodbye,” a September 11th tribute at the White House; Super Bowl XXXIII; the 1997 World Series; Shakira’s MTV Unplugged; the inaugural Latin Grammy Awards; and the “Queen of Salsa” Celia Cruz’s historic funeral, among many others. Named one of the most influential Latinos in the U.S. by Poder magazine, Jorge served as chairman of the board of the UnidosUS, the nation’s largest Hispanic advocacy organization. He is the first Cuban-American, first Floridian and youngest person to hold the post. In 1991, at age 17, Jorge co-founded Amigos For Kids, a nonprofit organization serving underprivileged children and families, that he has since nurtured into an institution of national prominence. He is chairman emeritus of Amigos For Kids, and his lifelong work within the organization has earned him March of Dimes’ Humanitarian of the Year Award, among others. Additionally, Jorge serves as vice chairman of the board of the Miami Dade College Foundation, and on the board of trustees of the Adrienne Arsht Center for the Performing Arts and the Friends of The Underline. He previously served on the board of directors of TotalBank. A member of the Council on Foreign Relations and the Florida Council of 100, Jorge was nominated in 2004 by President George W. Bush – and confirmed by the U.S. Senate – to serve on the advisory board of the Broadcasting Board of Governors’ Office of Cuba Broadcasting (OCB). Jorge has also received numerous accolades including Ernst & Young’s Entrepreneur Of The Year® Award, PRWeek’s 40 Under 40, CEO of the Year by the Greater Miami Chamber of Commerce, and Ultimate CEO by the South Florida Business Journal. An inductee into the Miami Dade College Hall of Fame, Jorge earned a bachelor’s degree with honors from Barry University and completed the Advanced Management Education Program from the Kellogg School of Management at Northwestern University. Luis Casamayor has more than 20 years experience in integrated marketing, advertising, and design, and has led Republica Havas to earn numerous national and international creative awards. 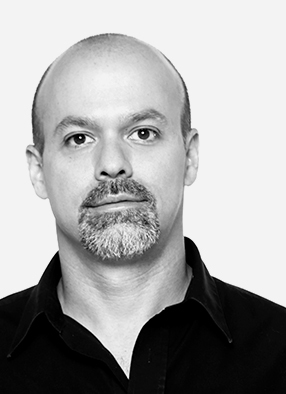 Before co-founding our agency in 2006, Luis was the president of Cosmyk, a design and creative agency he first started in 1994 as a graphic design studio. By 2001, the company had evolved into a full-service marketing agency offering additional services such as broadcast advertising, media and interactive. 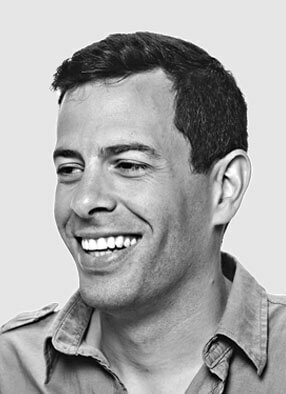 He built Cosmyk into one of the premier Miami-based creative agencies, acclaimed for its breakthrough campaigns. Over the years, Luis has provided clients with fresh thinking, dedication and a true understanding of business objectives. His deep relationships with creative partners in all relevant areas, including multimedia production, film, printing, and photography as well as event marketing allow the agency’s award-winning campaigns to be executed at the highest level. 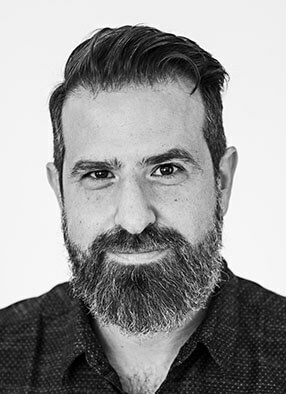 Named a Global Agency Innovator by The Internationalist, Luis’ passion for his clients comes to life in Republica Havas’ award-winning work for many brands, including Walmart, Toyota, Google, Baptist Health, Universal Orlando Resort, BankUnited, NBCUniversal and the Gates Foundation, to name a few. Luis has served as a judge for numerous creative competitions, including the Media Mind Rich Media Awards in New York City. He serves as the advisory board member of the Florida International University (FIU) College of Communication, Architecture + The Arts, and also as a member of Civic Nation’s Creative Alliance, the Art Directors Club, and the American Institute of Graphic Arts (AIGA). 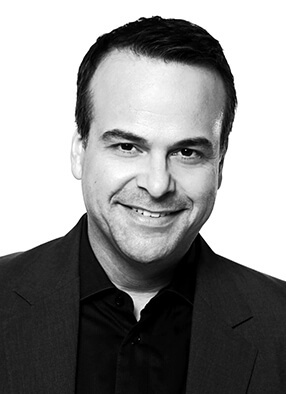 Anthony has held leadership roles at several of Madison Avenue’s top marketing and communications agencies. Before Republica Havas, Anthony was Managing Partner of New York City’s Naked Communications, where he worked with major brands, including ABSOLUT, Virgin Atlantic, eBay, and Mount Gay Rum. 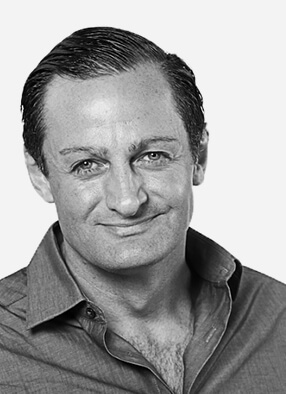 Previously, Anthony was Managing Director of Berlin Cameron, a WPP agency. He held several management roles there during his 14-year tenure, and his clients included Coca-Cola, Reebok, LVMH, Comcast, ING Direct, Condé Nast, Boost Mobile, Heineken Light, Stolichnaya Vodka, Samsung, and Vitaminwater, among others. Before Berlin Cameron, he was also in New York with Kirshenbaum Bond Senecal & Partners, where he worked on key clients, including Target, Tommy Hilfiger, Citi, Dom Pérignon, and Moët. He began his career as an art director for The Magellan Group, a direct marketing firm based in Rowayton, Connecticut. A graduate of Keene State College, Anthony became the youngest member of the North American World Cup Snowboard Team in 1989 — sponsored simultaneously by Oakley, Life’s A Beach brand, and LOOK snowboards. With more than 15 years experience as an award-winning brand strategist, Melissa heads up Republica Havas’ brand strategy, planning, media, and analytics departments. In this role, she seeks to leverage audience insights in our client’s marketing and communications programs to ensure that brands remain relevant, creative resonates with the target, and that the communications cut through the clutter. Through traditional or nontraditional consumer research, she uncovers attitudes, beliefs, and opportunities to integrate into the creative development process. Before joining Republica Havas, Melissa was a Director of Account Planning at Razorfish. 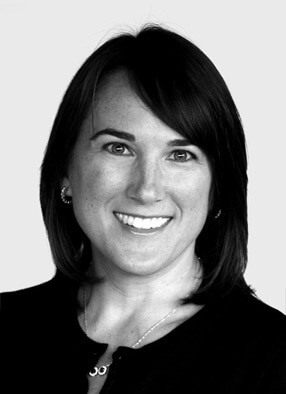 At Razorfish, she helped establish the account planning discipline and led the consumer and brand insight development for clients including for AT&T, JCPenney, Bridgestone Tires, Burt’s Bees, and Carnival Cruise Lines. Before Razorfish, Melissa was a senior brand planner for McCann Worldgroup where she developed branding and communications campaigns for national and global brands including Coca-Cola, The Island of Aruba, Durex and Johnston & Murphy. During her time at McCann, Melissa was selected to work in the McCann Erickson Mexico City office to assist in reestablishing its brand planning department. While there, she drove insights and strategic positioning for clients such as MasterCard Latin America, Nestle, Cadbury/Schweppes and Chevrolet. Melissa is a RIVA certified focus group moderator (Research in Values and Attitudes) and has extensive training from the Creative Problem Solving Institute including Facilitating the Osborne-Parnes Creative Problem Solving process and Developing Facilitative Leadership. She holds a B.A. from Davidson College with a major in economics and a minor in Spanish. As Senior Vice President & Head of Client Services, Arlene brings over 20 years of experience in client services and cross-functional marketing, including oversight of both internal and external creative teams through strategy, development, and execution of communications plans for both multinational agencies, and internally at Fortune 500 companies. She has held leadership roles at agencies in New York City, Buenos Aires, and Miami including Leo Burnett, Ogilvy, Y&R, and The Story Room. Her clients have included American Express, Marriott Hotels, Netflix, Revlon, The Food Network, BBC, and PlayStation, to name a few. 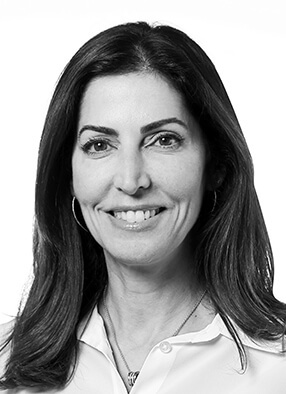 On the client side, Arlene served as director of marketing for Visa from 2007 to 2015 where she led all strategy, marketing, communications efforts for ten countries throughout Latin America. She is the recipient of numerous industry awards including Festival of Media Gold Award, PORTADA Award, and an EFFIE award. The New Jersey native began her career in New York after completing her Bachelor’s degree in English & Communications from Rutgers University. With over 15 years of experience across multiple industries, Nicholas serves as the agency’s Vice President of Business Strategy & Operations. Previously, as chief of staff, he worked directly with agency principals to develop strategic initiatives while enhancing agency processes and operations. He is currently responsible for leading the creative operations team, studio & production departments, pricing & procurement, IT infrastructure, and legal. Nicholas, who lived over 17 years in Chile, was an entrepreneur who founded businesses in the hospitality industry and led multiple high-end real estate ventures. Prior to Republica Havas, he served as business development manager for the Chilean software company, Planok S.A. While there, he implemented customized SaaS platforms for large corporate construction and real estate firms and was responsible for the operations and client service departments. Nicholas received a Bachelors of Arts in Marketing & Advertising, and an MBA, from the Universidad del Desarrollo (UDD) in Chile. Gustavo brings more than 18 years of experience in the areas of broadcast, print, events, and experiential production. As Senior Director, Production, he is responsible for overseeing, managing, and executing all production initiatives for the agency and its clients. Prior to joining our team in 2013, Gus was Print Production Manager at SapientNitro, where he helped execute successful internal events including the company’s presence at SXSW, IEX, and Cannes Lions. In addition to events, he oversaw print production and project management for Sapient globally, working with numerous clients such as Celebrity Cruises, Citibank, Burger King, Network Solutions, ConAgra Foods, Kaplan College, and HondaJet. As Director, Content and Social Media, Natalie leads strategic social media initiatives and creative content for digital platforms. At the intersections of strategy, media, analytics, and creativity, Natalie and her team work across teams to create content made to resonate with consumers in the right place at the right time. Before joining Republica Havas, Natalie was a Social Content and Engagement Analyst at Sapient, where she mined trends and consumer behavior to identify data-driven content opportunities and strategies for national and global accounts including Grey Goose Vodka, Holland America Line, ADT, and Regions Bank. In addition to content strategy and community management, she educated internal teams on the impact of social media, influencer programs, and producing a return on investment for clients. 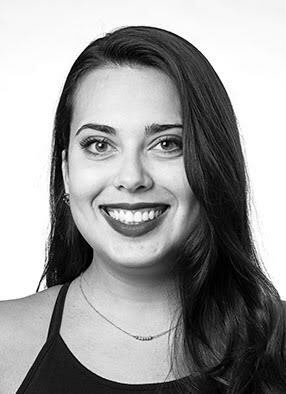 Natalie brings public relations experience from the luxury travel and lifestyle industries as well as hospitality experience from her time spent working for LiveNation venue, The Fillmore Miami Beach. Whether it’s people, strategy, or creative concepts, Natalie is a connector and collaborator at heart. This Pennsylvania native graduated from the University of Miami with a bachelor’s degree in public relations with minors in communications studies, marketing, and art history. As Director, Communications, Ana leads all aspects of the agency’s public relations efforts including communications strategy, influencer engagement, and media relations. Ana has a stellar reputation of building strong relationships with editors, reporters, and producers to bring clients’ brand stories to life. Echenique joined our team in 2015 as an Account Manager, and was then promoted to Senior Account Manager, and most recently served as an Account Supervisor. Her work with Republica Havas has spanned various clients, including Walmart, Nielsen, Toyota, Telemundo, Dyson, and Google, to name a few. Before joining our agency, Echenique was a Senior Account Executive at FleishmanHillard, where she managed an array of clients including several Procter & Gamble brands such as CoverGirl, Head & Shoulders, Olay, and Gain. 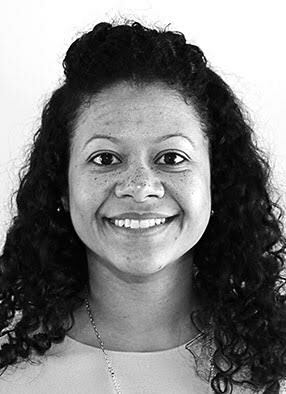 A native of San Juan, Puerto, Rico, Echenique graduated with a Masters in Public Communications from Drexel University in Philadelphia and also holds a Bachelor of Arts with a focus on Integrated Marketing from Duquesne University in Pittsburgh. As Director, Talent & Culture, Christina brings more than 20 years of knowledge and experience in Human Resources. She instrumentally supports Republica Havas’ success by managing employee relations, engaging in training and development, promoting the strong values of our work culture, and overseeing recruitment of new talent. 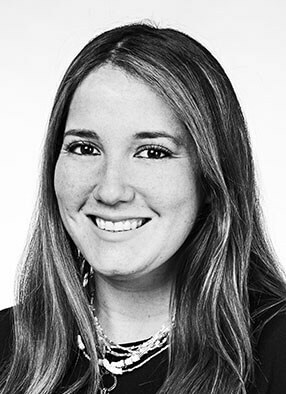 A native of South Florida, Christina grew up on Key Biscayne and then went on to South Carolina where she graduated from Clemson University with a bachelor’s degree in English with a minor in Business Administration. After graduation, Christina moved to New York City where she began her career in Human Resources at several agencies, including EURO RSG and D’Arcy Advertising. 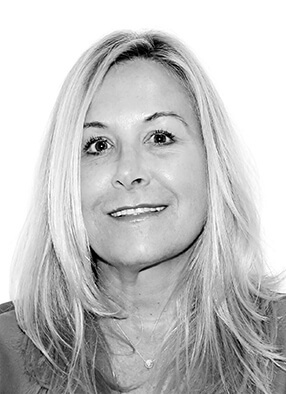 She later returned home to Miami, where she most recently worked at JMS, and previously with Eileen Haubenstock & Associates, a top advertising and marketing recruitment firm. Yadira Santana-Dowling, M.A. is Associate Director, Strategy at Republica Havas. Yadira has over a decade of experience in the advertising industry and is well versed in the areas of strategic communications. She has worked in the Latino, urban, and general markets, providing expert analysis and consultation for brands such as Walgreens, Dunkin’ Donuts, Lincoln Motor Company, Olive Garden, Smuckers, S.C. Johnson, Verizon Wireless, Buick, Dr. Scholl’s, VESIcare, Volvo, Jaguar, and many others. A recipient of the 2005 “Best Understanding of Target” Award from the Institute of Advanced Advertising Studies, and a 2006 “Silver Advertising Ad Award” for the Best Branded Integrated DTC Campaign, Yadira brings a plethora of experience and insight to her work. Having earned her bachelor of science in organizational behavior management from the Miami University of Ohio and a master’s degree in strategic planning from the Virginia Commonwealth University Adcenter, her keen insight and understanding help broaden her ability to serve her clients effectively. A native of the Dominican Republic, Yadira resides in Miramar, Florida with her husband and three children.